To inspire young people and develop their employability. To increase young people’s understanding of global issues, and their access to international projects. To add value to formal education. We are not connected to any particular group or geographical region. We have no political or religious affiliation. We are based in the UK but our work is international in character, and we have partners in many other countries. We are at the centre of a growing international network of professional people from all walks of life who are interested in education. Momentum World is registered in England as a Community Interest Company limited by guarantee. This film, made by young people on one of our recent projects, illustrates the importance of inclusion in our work. There are no limits to what you may experience on an international project. Where will you find your fish? Momentum World is a provider of international non-formal education. We run leadership and employability skills courses for young people. 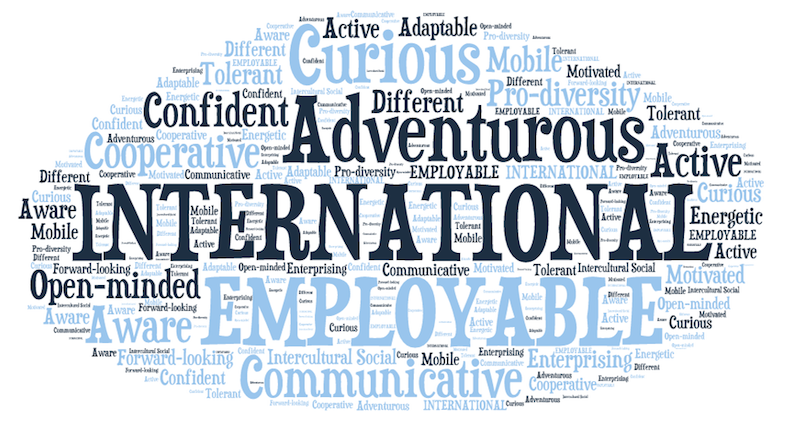 We give young people access to international volunteering opportunities. We work with partners in the UK and internationally to design and implement innovative intercultural projects. We advise schools, colleges and other organisations on how to develop effective international links and projects, and how to access funding for these. We train staff and volunteers from youth and education organisations how to organise safe, fun international activities for young people, with measurable learning outcomes. We recruit UK participants for a wide range of youth and education projects in other countries. This time-lapse captures the key concepts of the EU Erasmus+ programme, and the value of effective teamwork. Amy Stables describes her international journey with Momentum World. Where will your journey take you? We all know what formal education is. This is what happens at school, college or university. It generally takes place in a classroom and follows a fixed curriculum based on specific subjects or technical skills. It results in recognised qualifications usually assessed through exams. More often than not, it is compulsory. Non-formal education, on the other hand, is all about developing interpersonal, communication, teamworking and general professional skills and behaviours – what are usually called “soft” or “transferable” skills. These are the skills that employers always say that young people need – but often lack – when applying for jobs. Non-formal education can take place in a variety of different settings, and participation is always voluntary. Nevertheless, it involves a structured process managed and facilitated by appropriate trainers, youth workers or other professionals. Well-known examples include the Duke of Edinburgh’s Award, National Citizens Service, outdoor education camps, company team-building days, and so on. The emphasis is on working with and understanding others, building self-confidence, and learning through experience. At Momentum World, we believe that this learning is doubly effective if it takes place at an international level, giving young people a story to impress any future employer. Non-formal education also differs from “informal education” which is simply all the learning we accumulate in our own free time. Youth workers from 4 European countries made this film as part of our “Centres of Excellence” project to promote outdoor education.